An overview of the 2018 LNG market trends. The low demand and ample supply should keep utilization rates in the low 60% range in the near future. 29 March 2019 James Isaacs Clare Barker-White, Ph.D.
Will the Permian continue its meteoric ascent and dominate global markets? 2018 proved a historic year for the oil and gas industry in New Zealand. 25 February 2019 Yelena Shliomenzon Jim Thomas, Ph.D. Legislation revisions and updates to the petroleum industry adopt stricter requirements and making regulatory compliance a moving target. Stealing the Permian- Which operators are next in line for US onshore mergers and acquisitions activity? 20 February 2019 Basel Asmar, Ph.D. Operators cautious spending plans will slow down activity in North America the first quarter of 2019. A summary of all the things you need to know that happened in the offshore rig market in 2018. IHS Markit experts discuss the development and application of new technology in the energy industry. Exploring the relationship between proppant supply and sand sourcing strategy. US NGL supply is expected to experience significant growth, how does Asia plan to absorb this increase in production? How do you apply artificial intelligence to your oil and gas needs? Artificial Intelligence (AI) within oil and gas. Since exporting its first waterborne ethane cargo in 2016, the United States has seen steady growth in China. IHS Markit’s Onshore Services &amp; Materials team recently released our WaterIQ report for the second half of 2018. Sarah Haggas, Regional Director, gives an update on the Middle East E&P market. Upstream spending in the Middle East looks like it will continue to grow in the coming years. This is an excerpt from Michael Stoppard’s India CERAWeek presentation. The transition toward a lower-carbon energy world has traditional fossil-fuel based producers re-evaluating their business strategies. Initial offshore results are in from key commercial tests offshore Namibia. What does it mean for the Southwest African Coastal Basin? What happened in the global oil market? The IHS Markit outlook is for robust jet fuel demand growth, especially in emerging markets. 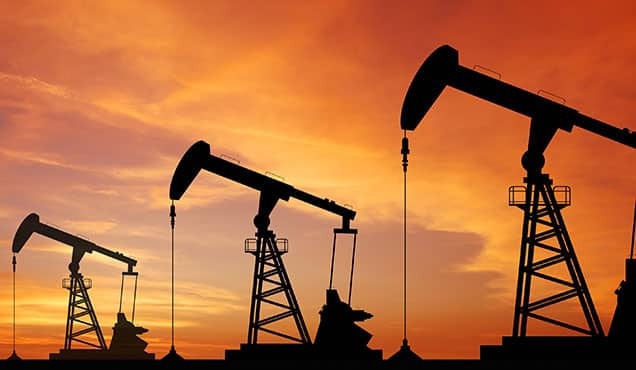 31 August 2018 Basel Asmar, Ph.D.
Latin America still plays a major role in the global oil market despite recent infrastructure and political challenges. How are suppliers planning for their short and long-term projects in today’s price environment? Strong policy support and rapid cost decline led to phenomenal distributed solar photovoltaic (DPV) capacity additions in China. Alaska’s North Slope receives little attention give the focus on North America unconventionals. Malaysia concluded its 14th general elections on 10 May 2018, resulting in an end to the 61-year reign of the Barisan Nasional coalition. How are oil and gas companies using hedging strategies to mitigate oil price risk? Taiwan's Ministry of Economic Affairs has announced the selection of ten proposed offshore wind projects. E&Ps have reshaped their technology and innovation strategies over the past few years to better compete in a low-price environment. China has expanded its coal import restrictions, with several more ports introducing heavier controls over shipments from overseas. Key takeaways from CERAWeek 2018 within the power sector. Data transformation explained – What is it and how is it done? Despite the craze around the Permian Basin, there are promising signs from other North American plays and basins. Renewables were an integral topic throughout CERAWeek by IHS Markit, not just in discussions on power day but throughout the week. Over the last few years Papua New Guinea has established itself as a strong player in the oil and gas industry. The world is changing. The world of gas is changing. What’s ahead for the gas markets and what are emerging global gas business models? Not able to attend CERAWeek by IHS Markit this year? We'll recap the first two days for you in 30 seconds with the top Tweets from the show! Several years of weak commodity prices have significantly reduced offshore exploration activity in the US Gulf of Mexico. With data volumes growing rapidly, good data management is a significant challenge for upstream oil and gas companies. The main measurement of a well’s value is its Net Present Value (NPV). The Pakistan LPG market is expected to grow gradually in the coming years. 13 million metric tons by 2030. That is the forecast of LNG demand into these frontier markets – Vietnam, Philippines and Myanmar. Exploration spending fell by more than 50% from 2014 to 2016 with all oil and gas players forced to retrench spending. The end of the year is drawing near. We thought we'd take a break from last-minute online holiday shopping for a little introspection.